Vatican II: "Our Lord placed Simon alone as the rock and the bearer of the keys of the Church"
The Magisterium is the Catholic Church's teaching authority that Christ vested in the Roman Pontiff and those bishops who teach the Deposit of Faith in union with the Vicar of Christ. It comes from the Latin word, magister, meaning teacher. The ordinary Magisterium is the Church's teaching office exercised throughout the world by bishops using normal means to instruct the faithful in fidelity with the Petrine Office. These normal means include all forms of communication. When the doctrine taught to the faithful by the ordinary Magisterium is in union with Catholic faith and morals as taught by the Roman Pontiff, then it's infallible. The extraordinary Magisterium is the Church's teaching office exercised in a solemn or formal way by a pope's declaration or by conciliar decisions from an ecumenical council of bishops approved by the Holy Father. When a papal definition or conciliar decision on Catholic doctrine is presented by the extraordinary Magisterium to the faithful and requires their assent, then it's infallible. The college or body of bishops has no authority unless it is understood together with the Roman Pontiff, the successor of Peter as its head. ... The order of bishops, which succeeds to the college of Apostles ... is also the subject of supreme and full power over the universal Church, provided we understand this body together with its head, the Roman Pontiff, and never without this head. This power can be exercised only with the consent of the Roman Pontiff. For Our Lord placed Simon alone as the rock and the bearer of the keys of the Church and made him shepherd of the whole flock. 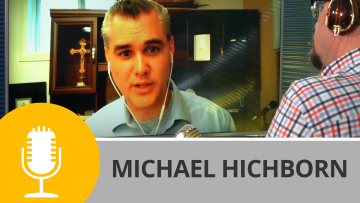 Learn how essential the papacy is to the Magisterium in season three of Church Militant's Premium show, The One True Faith—The Papacy.